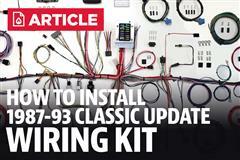 Update the wiring in your modified Fox Mustang with this 1987-1993 Mustang Classic Update wiring harness! Are you looking for a complete wiring harness for your modified 1987-1993 Fox Body Mustang build? 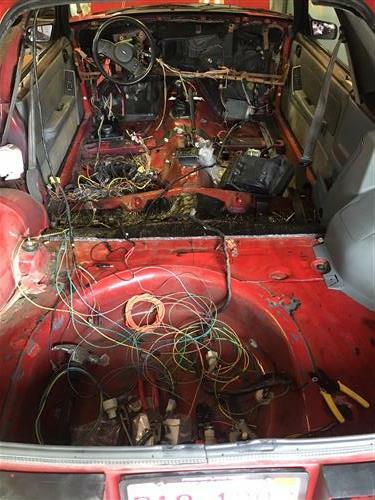 Late Model Restoration has the solution with this American Autowire Classic Update Wiring Harness! 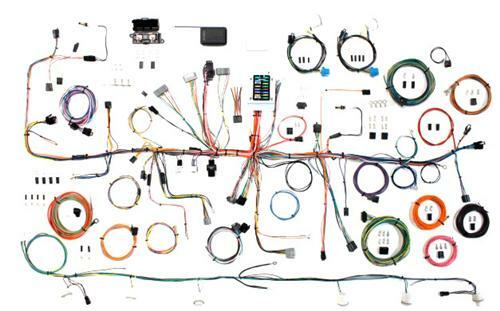 This wiring harness kit has great features to help you update and finish up your project car! Not only is this wiring kit great for custom builds, it is a nice upgrade for worn out, melted, or damaged wiring in Fox Mustangs! This kit includes new dash, engine, front light, rear body, and aftermarket gauge cluster harnesses to make this the most complete harness kit on the market. Extremely detailed instructions make this kit unbeatable! New headlamp, directional, and marker lamp sockets come installed on the front light kit. Includes new washer pump connector and wiring. -This harness is intended for modified applications only. Not intended for OEM replacement. -This kit will fit 1990-1993 Mustang, but DOES NOT have provisions for the air bag. Therefore, this kit is intended for OFF-ROAD use only on this year span. -This kit will NOT work with factory gauges. This harness is meant to hook up to most aftermarket gauge set ups. -Some connectors & grommets will need to be re-used. These include the defrost, dimmer, and wiper. The complete list is on the included instructions. Are you looking for a complete wiring harness for your custom 1987-1989 Fox Body Mustang build? 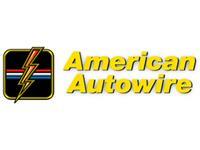 Latemodel Restoration has the solution with this American Autowire Classic Update Wiring Kit! 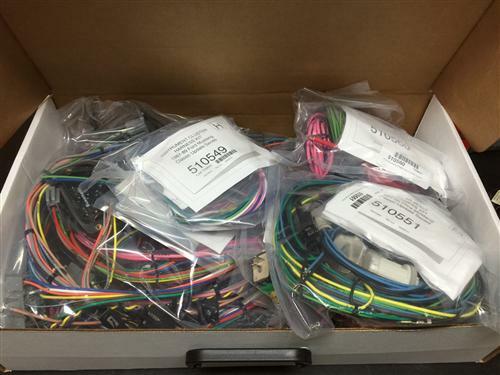 This wiring harness kit has great features to help you finish up your project car! Not only is the wire kit great for custom builds, it is a nice upgrade for worn out, melted, or damaged wiring in Fox Mustangs. Will Also Fit 1990-1993 Mustangs but does not have air bag provisions. American Autowire produces a huge selection of wiring harnesses, accessories, kits, and components that any true rodder or restorer can appreciate. We offer over 9,000 original restoration wiring harness, switches, battery cables, and spark plug wire set combinations in our Factory Fit® product line, complete modified restoration kits in our Classic Update Series, and provide integrated fuse panel and modular fuse panel street rod wiring through our Power Plus, Builder, and Highway series.